LR North Haven crew is awesome. I had a terrible experience at LR Fairfield, got service done there and my truck was never the same. I then called N. Haven about issue, with short notice they took care of me right away. Very professional and caring for customer needs. Can’t say enough good things about this dealership! Everything was handled professionally and promptly— there were no hidden fees and no surprises! Just a great deal and an overall great experience from the receptionist at the door until I walked out with the keys. The entire staff was wonderful and far from stuffy. Many thanks to both Ricks who helped make it happen! 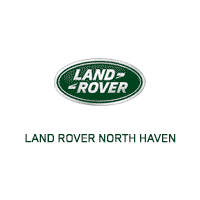 I worked with Tim Blue a sales advisor when i recently bought my Land Rover Range Rover and it was a great experience. All the staff are great and Tim went out of his way to make sure i was happy with the car and service after the purchase and it was great customer care from all involved. I wanted to take a minute to write about my wife and my experience at this dealership. First of all, we reviewed the car online for about a week because we are from Chicago and would have to fly and drive. We talked to the salesperson, Rich, several times and always got quick responses that met or exceeded our concerns. We flew to North Haven and were immediately picked up by Brad, at the airport, and then driven back to the dealership. Brad talked to us as if we were family and treated us with a great deal of respect and friendship. Rich was our salesman and greeted us at the dealership. I found him to be very pleasant and informative. This dealership is beautiful and they certainly treated us great and wanted us to feel special in every way. I had an idea that we would sign papers and be whisked out of there, having never bought a Jaguar. But Brad had a different idea all together. He showed us every feature in the car, inside and outside to ensure we knew what we were doing and ensuring our driving safety and went over any questions or concern we had. In addition, he hooked up our phones with the Jaguar application and registration so that we had everything we needed. As if that was not enough, they gifted us a bottle of wine, 2 licensed Jaguar key chains and all of the Starbucks coffee we could handle! !In summary, I feel that they went out of their way to make us feel special, had a great experience and were comfortable all the way through the process. If we did not have to leave to drive back to Chicago, I could have sat there all day and talked as I truly felt like part of the family by the time we left.Great deal, great service and a truly great car buying experience. I wish I lived in Connecticut so that they could provide the service as well.The team at this dealership truly appreciates the customer and that was clearly evidenced by how we were treated by everyone, especially Brad.Thanks Jaguar Land Rover of North Haven for making the car buying process not a hassle and actually enjoyable. I purchased my first Range Rover Evoque from Rick Borofsky. Very knowledgeable about the car, not pushy at all, professional, was attentive and answered all my many questions. I will purchase another vehicle from rick and recommend him to others. after driving this car for about a month now I LOVE it. Thanks rick and Jill in finance was also very helpful and knew her stuff!